Flying Roller Coaster. Totally Exhilarating. Award Winning. Adventures were meant to be shared. Partner up and experience the family-friendly roller coaster of a lifetime. 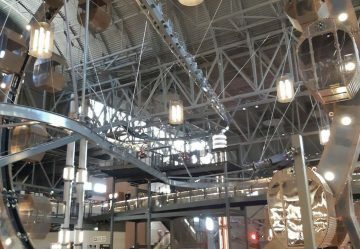 Awarded Best Major Attraction at IAAPA and top most anticipated coasters to open in 2019. Get Started or speak with a Cloud Coaster Specialist. Let us introduce you to the best family-friendly roller coaster on the market, the Cloud Coaster. 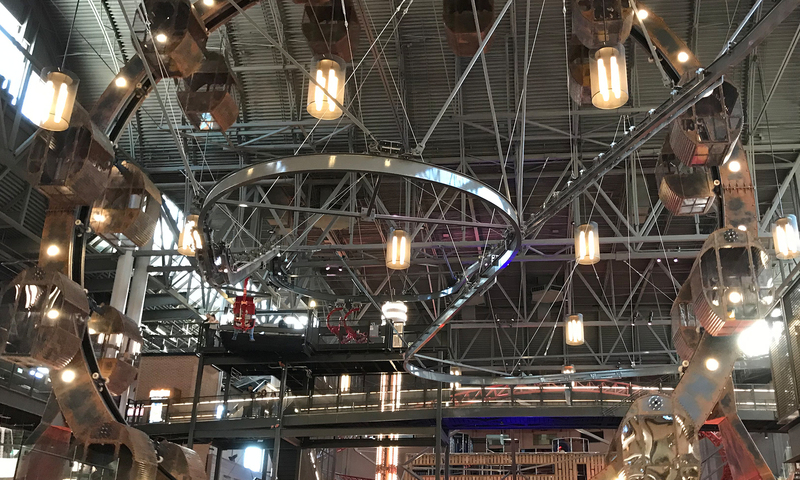 This suspended roller coaster received back-to-back awards at IAAPA, with recently being awarded "Best Major Attraction" for 2018. The Cloud Coaster was also voted as top 10 attraction by U.S.A Today and top most anticipated coasters to open in 2019 by Coaster101! Experience fast, controlled and safe speeds that give you the sensation of flying and rocketing down a roller coaster with smooth turns, uphill racing and launching around structures. The Cloud Coaster is the future in family-friendly attractions. Designed by the amusement ride experts at Extreme Engineering, the Cloud Coaster also holds the esteemed title of requiring low power, low maintenance and ease of operations, making this suspended roller coaster affordable to almost all amusement markets. The Cloud Coaster's exclusive cart functions allow riders to be pulled up a track on motors to soar up hills, or steep terrain, along the steel coaster track for a truly unique ride. This streamlined approach ensures riders experience minimal G-forces, making the ride smooth, exhilarating and available to almost all ages. It truly gives the sensation of flight, gliding seamlessly through the air! No other system allows for this type of ride, period. Perfect for brave companions or for parents to ride with their little sidekicks, this is truly a family-friendly experience to be shared. So join forces and take a journey on the world’s best family-friendly roller coaster by Extreme Engineering. Let’s bring thrills and family-friendly attractions to your amusement park. We can completely customize your attraction and create the memorable experience your guests will desire. 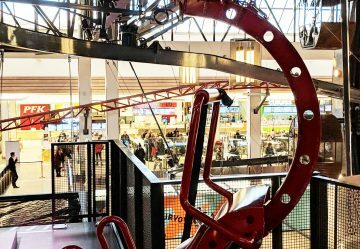 The Cloud Coaster is the future in family-friendly entertainment. Download a brochure of the Cloud Coaster! The industry award winning Cloud Coaster uses low voltage lift technology and magnetic braking that can control and increase the speeds of the experience, including up-hill racing. Optional rider management system allows multiple trolleys on the track at all times, providing serious throughput! The Cloud Coaster features high-load capacity magnetic brakes “MBS” braking technology to slow and stop riders safely. Choose from a wide variety of roller coaster carts to provide the ultimate theming and experience! Ride together in a tandem cart, fly like a super hero in the prone position or ride facing each other. Each choice will provide you a unique suspended coaster experience. Custom carts are also available. 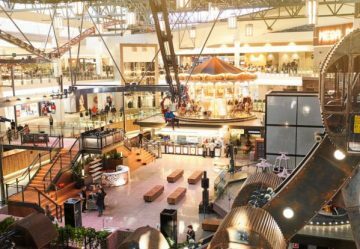 The Cloud Coaster can be retrofitted to your existing structure, such as a waterpark’s slide tower, and has options for a freestanding installation or can attach to the ceiling of an indoor facility. The Cloud Coaster is designed to start and finish riders in the same spot, making que lines manageable and fast cycle times. With infinite lengths and possibilities, The Cloud Coaster is available in any desired length, custom theme or course layout. No roller coaster project is too little or too small. Let us design your exhilarating Cloud Coaster track today. The Cloud Coaster exceeds ASTM, EU, CE and other industry standards. 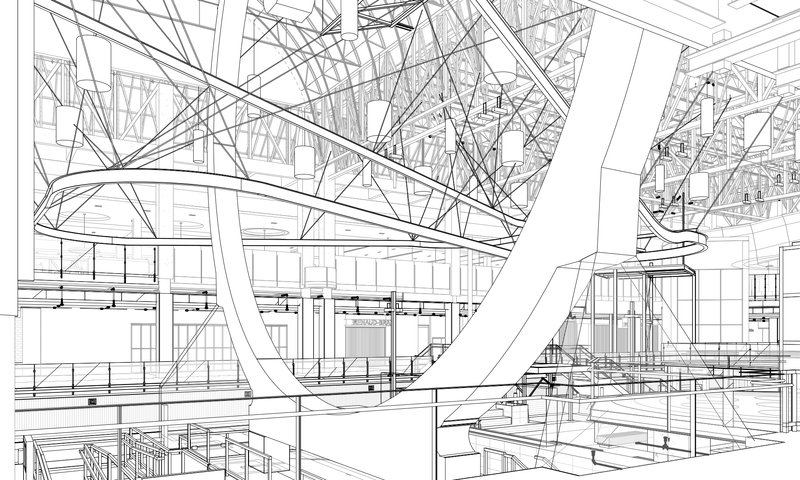 We offer full stamped drawings applicable to your state in the U.S. and a certified engineering and design team with full project management on all Extreme Engineering attractions. Proudly built in the U.S.A with patents and patents pending. Custom features and options, such as integrated lighting, camera systems and immersive theming are also available.